Christmas may be less than 2 short weeks away, but that does not mean we are ready to give up pumpkin just yet. 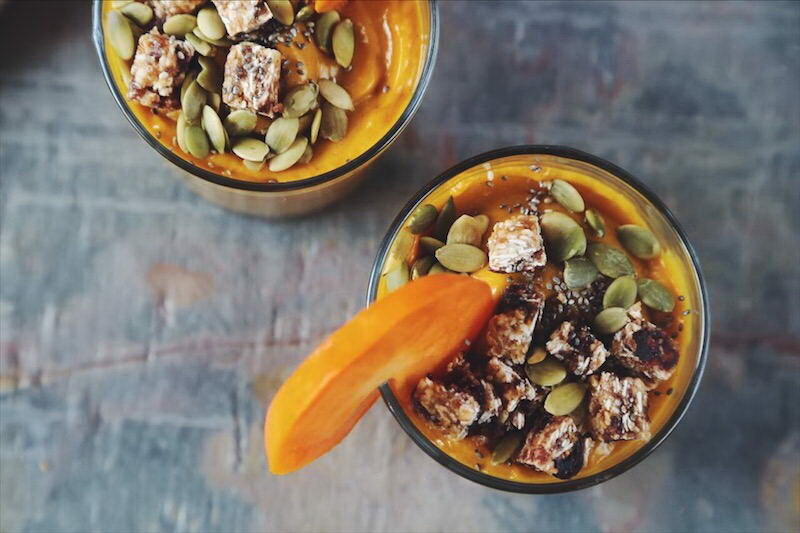 If you're in the same boat, and find yourself experiencing that random craving for pumpkin pie, you will love this easy, healthy recipe. 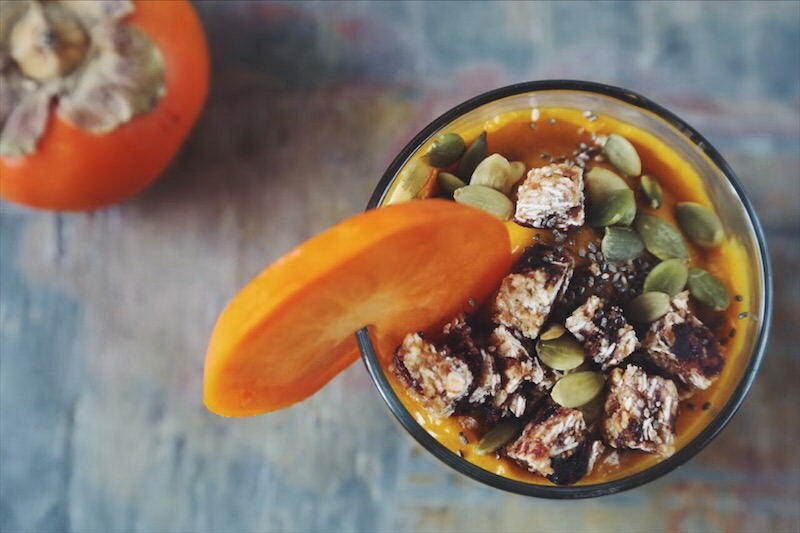 It tastes like dessert, yet has a few nutritional superfood secrets that will help support your immune system, which is most likely working in overdrive right now thanks to cold and flu season. 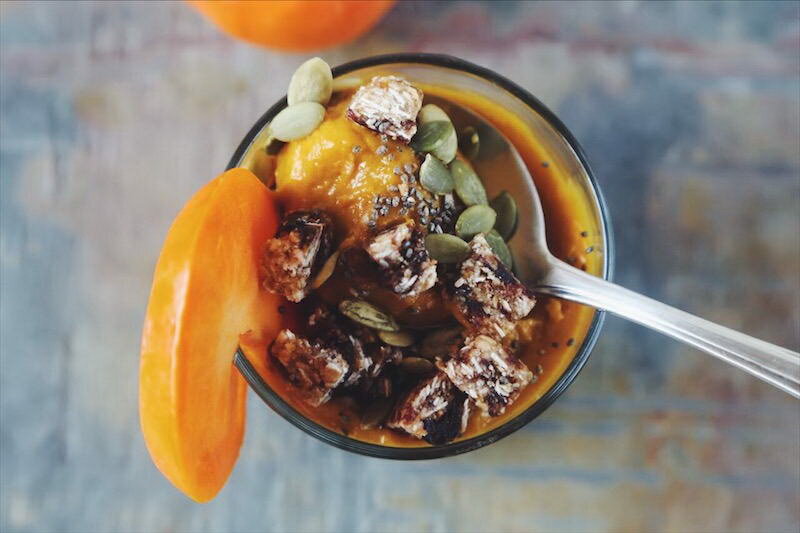 While pumpkin and persimmons might not be something you've ever thought to combine before, they really are a match made in heaven. 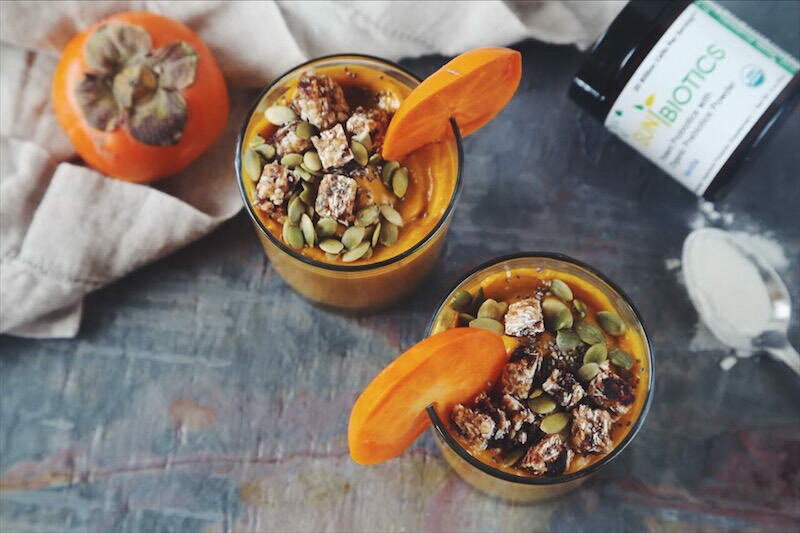 Both of these superfruits are rich with phytonutrients, flavonoids, and antioxidants to help give the body a boost, and when blended together, they form a smooth and dense pudding-like texture - just like pumpkin pie filling. 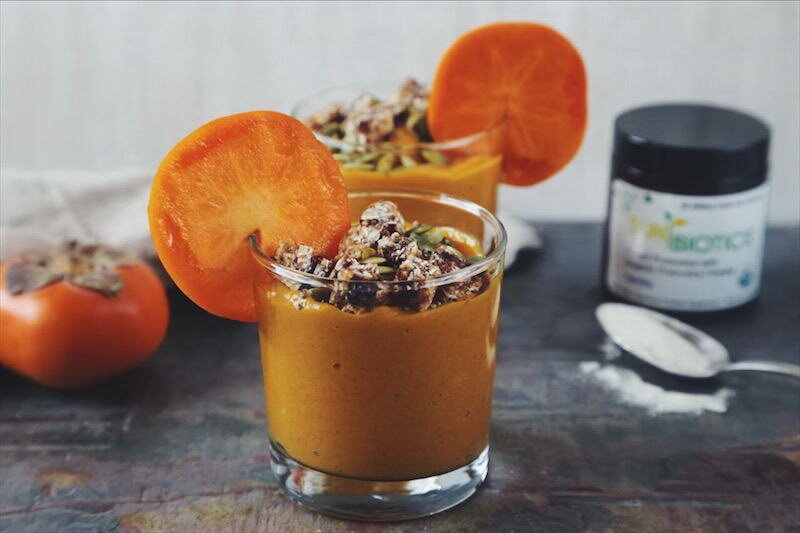 We also blended in a little Thai coconut meat to make it even creamier, plenty of classic pumpkin pie spices of nutmeg, cinnamon, and fresh ginger, and also added a hefty dose of our Sunbiotics Vanilla Probiotic with Prebiotics Powder to give the immune system even more TLC. Health begins in the gut! 1. Blend all ingredients until smooth and perfectly pudding-like.